This project will provide safe drinking water and sanitation facilities for two primary schools in developing areas around Nakuru, Kenya. Both schools are now accessing a sufficient and reliable supply of safe water from 10,000 gallon water storage tanks. Each water tank stores sufficient water for the school's drinking water, cooking, and other productive uses. The construction of 48 latrine stalls gave students and teachers privacy, and the pride and dignity of a hygienic latrine. 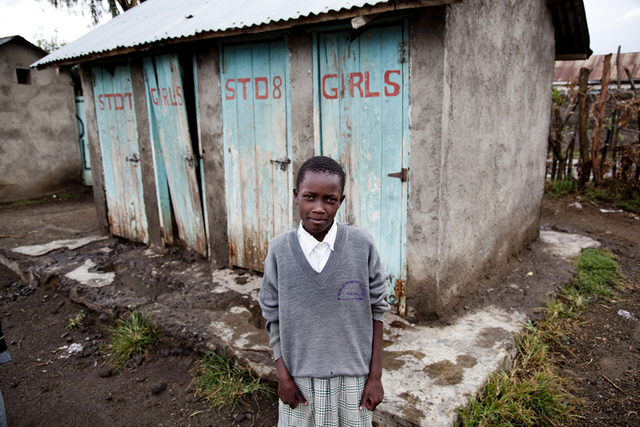 The average ratio of students per latrine has dropped from 43 to 22 for girls and from 68 to 25 for boys. This has reduced queuing time and created a positive and dignifying learning environment. Students are also learning to be change makers for better health, sharing the health lessons they are learning at their newly-formed school health clubs. 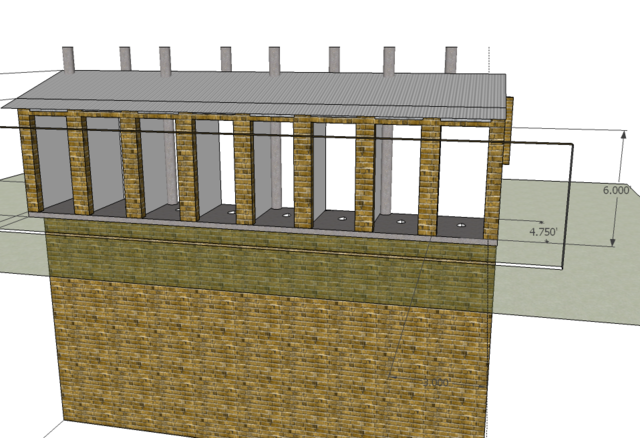 Received report from partner that the final block of latrines in this project is underway. 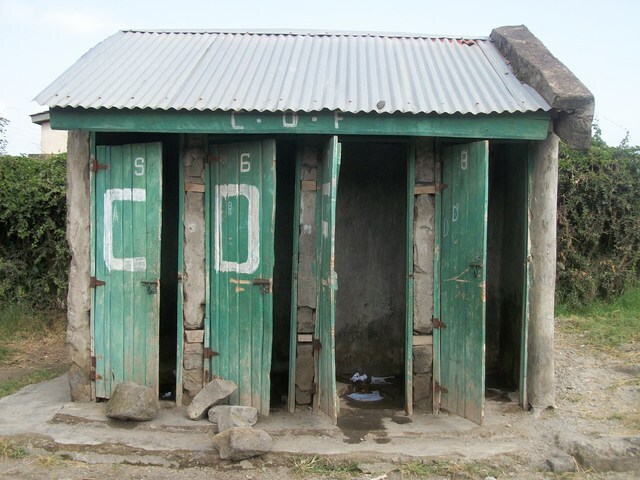 The block of 10 latrine stances will provide health and dignity to the boys at St. Paul's Primary school in Nakuru, Kenya. 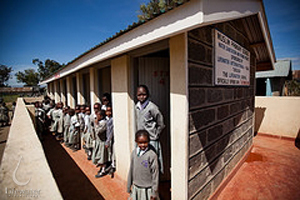 The current latrines are overflowing and causing the city to threaten closing the school. The school management committee is contributing 14 tons of sand, 2 unskilled laborers, and water for construction to show their support and commitment to the project. Lifewater's implementing partner has sited and begun digging for a block of latrines for boys at Muslim Primary School. The boys are currently using latrines which are beginning to sink and are threatening collapse. 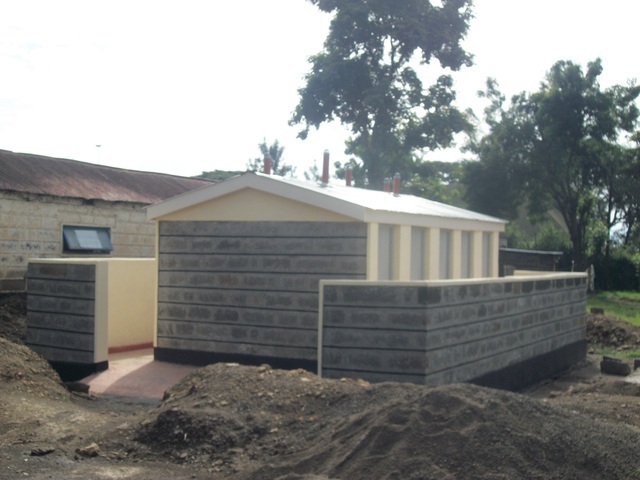 These new latrines will provide safety, dignity, and health. 10 latrines at St. Paul's Primary School have now been completed and are ready for use by the girl students attending the school. These latrines represent health and dignity for girls who often drop out of school due to lack of hygienic sanitation facilities. The latrines are permanent, so they can be emptied by a septic company and re-used for years to come. The two-door teachers latrines at Muslim Primary School and the 10,000 gallon water tank at St. Paul's Primary School have just been completed! The previous teachers latrines were cracking at the base, making them unstable and too dangerous to be used. Now the teachers can be role models to the students of using healthy and hygienic pit latrines. The new water tank at St. Paul's will allow the school to have a sufficient and reliable supply of safe water for drinking, cooking, and cleaning. 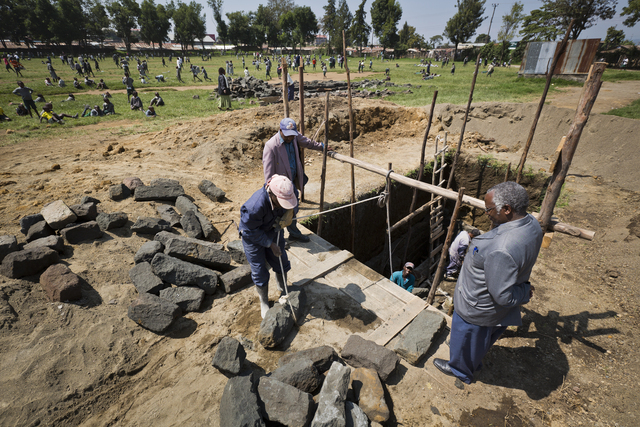 We have started the construction of a 10,000 gallons masonry tank for St. Paul's Primary School and a 2 door pit latrine for teachers at Muslim Primary School. Work was on hold due to the holidays, but now has resumed. Preparation for the teachers latrines at Muslim Primary School has been completed- including choosing the site, meetings and school approval, and meetings with the parents. Digging is set to begin Monday, October 31st. Lifewater has successfully secured the cost-matching funds necessary to complete all water, sanitation, and hygiene activities proposed. Preparation is underway for construction to resume at Muslim Primary School and begin at St. Paul's Primary School. The remaining activities include construction of a 10,000 gallon water tank, a 10-door latrine for girls, and 12 faucets for handwashing at St. Paul's Primary School as well as a 2-door latrine for teachers and 1 handwashing faucet at Muslim Primary School. We are swiftly moving forward to complete the project, and Lifewater Kenya, the implementing partner, has begun preparation for construction of latrines at both schools. As Lifewater continues to raise funds for the remaining latrines and water tank at St. Paul's Primary School, the work plan for this project continues to move forward. Lifewater staff will be visiting Muslim Primary School and St. Paul's Primary School In February to review progress, meet with project beneficiaries, and discuss the work plan to to make adjustments for recent delays. On Wednesday, October 6, 2010 Project Coordinator Julie Smith and two other representatives of Lifewater International gathered together with Lifewater Kenya staff, teachers from several local primary schools, school district administrators, and over 1,000 students at Muslim Primary School. The celebration marked the completion of several stages in the Water and Sanitation for Nakuru Schools Project at Muslim Primary School. - sanitation: completion of the 16-door latrine for girls to replace the former latrines which were in dangerously poor condition. A block for hand washing with 5 faucets was also constructed and connected with the water tank so that water will always be readily available for hand washing. - hygiene: completion of a week-long training course with 21 participants including teachers from 8 schools. This hygiene curriculum will be taught to the health clubs at each of these schools and will improve healthy behavior in relation to water, sanitation, and hygiene both at home and at school. The celebration was a joyous occasion which demonstrated the significance of these new facilities. Through songs, dances, poems, and speeches the school expressed the impact that the water tank, latrines, hand washing blocks, and training will have on the students' ability to stay in school and remain healthy. "Education is as important as clothes and food and even shelter," the first grade students chanted. "We should be married now, according to tradition. But we have chosen to stay in school," the older girls sang. 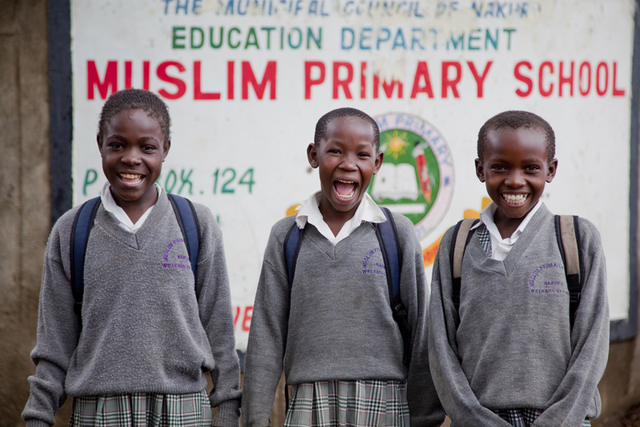 And now Muslim Primary School students can focus on their education and their futures while learning and practicing life-saving WASH principles. “We sincerely give our appreciation to those who raised funds to put up the facilities and those who planned and toiled under all weather conditions to put up the facilities. The value of the facilities is beyond our imagination. God bless you. 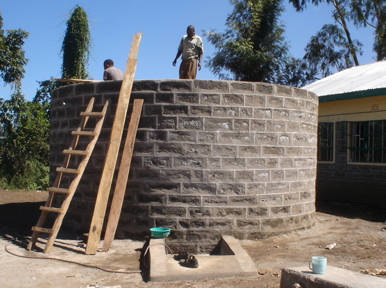 The construction of a 10,000 gallon masonry tank for water supply to the school is now complete. We only need it to dry up in the inside so we can smear bondex and feed it with water. The entire family of the school-children, teaching staff and parents- are extremely happy for the support given to them. Construction of a 16 door pit latrine for girls is in progress. We are now doing the roofing work. 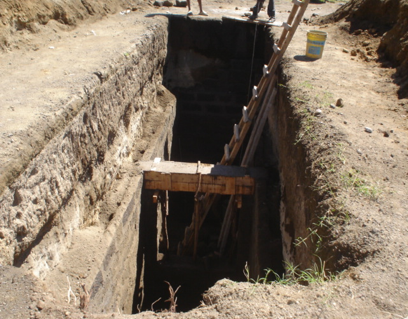 The depth of the pit latrine is 15 feet by 281/2 feet and width of 7 feet. 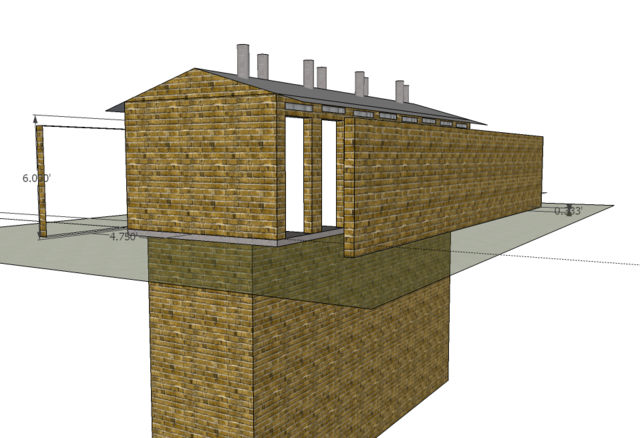 A wall has been constructed in the underground the entire dimension and that makes the pit latrine be emptied in case it fills up, thus making the latrine permanent. We had a problem for the walls collapsed when we had already gone half way and that gave us a draw back and more time. All the same we learned a good lesson and the problem will not occur again for we improved the structure with more reinforcement. Remaining work on the 16-door latrine includes internal finishes, external finishes, roofing work, site clearing, and handwashing provisions. We believe the work will be fully completed by 31st August, 2010. WASH training will be conducted by Lifewater International Volunteers who are coming as from 22nd September to 8th October, 2010. 1) The 10,000 gallon water tank project is now done 85% we are now remaining with the casting of the roof slab. After that is done the tank will stay for 21 days for the roof concrete slab to cure then after that we remove the shuttering inside. People are amazed by this wonderful project. 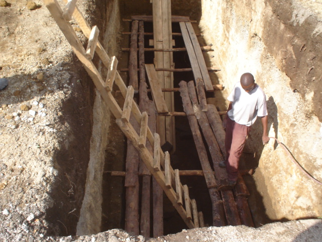 2) We are putting beams in the mid of the pit latrine to hold the walls firmly and the two ends have a thicker wall. The construction is still going on but still underground. 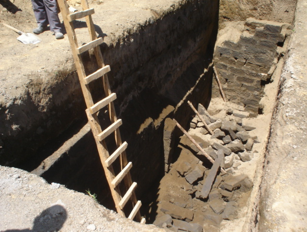 1) The excavation of the pit latrine was done and completed but the excavation cost was slightly over budget (US $202.70). 2) During the construction of the pit lining, the wall collapsed at the mid-section of the pit. Thank God that, though two people were injured, it was not more serious! * Launched the start of the 16 door pit latrine for girls. * The site of the pit latrine has been selected. * Selected the site of the 10,000 gallons masonry tank. The tank will be started on 30th April,2010. * WASH for Schools primary school training for teachers planned for August 2010. After several more weeks in revising some of the finer details of the latrine design plan and the budget for the project, a revision of the project agreement between Lifewater International and The Lifewater Kenya was revised signed, and stamped by both organizational Directors yesterday, March 31. After mobilizing parents and teachers at Muslim school during the months of February and March, The Lifewater Kenya was able to break ground on this project at Muslim Primary School today, April 1. The first phase of this project includes construction of one 16-door latrine for girls, a large water tank, and four handwashing stations. The estimated date of completion of this first phase is May 31. The start date for work on-site in schools has been postponed until approximately March 20th. In the window of time between October, when assessment for this project was completed, and January, when funds became available, Lifewater identified opportunities for capacity building with it's in-country implementer. January and February were spent engaging the Lifewater Kenya in dialogue regarding design considerations for school latrine blocks. We have had a chance to collaborate, share ideas, and learn from each other in working through this process, and are excited about the work that will be underway within the next month. The remaining funding needs will be raised locally in Kenya for the operations and maintenance costs of the facilities, through government allocations and parent contributions. Safe water beneficiaries are calculated as the total number of students and teachers at project target schools. This is the total number of students at both schools. Sanitation beneficiaries are calculated as the total number of students and teachers at project target schools. This the total number of beneficiary students. Other benefits are achieved through the formation and support of School WASH clubs, which will facilitate broad promotion of hygiene and sanitation behaviors within the school. In addition these clubs will empower students to be agents of change in their communities. i) Provide clean and safe drinking water to vulnerable communities. ii) Feed the poor in drought stricken areas, children in primary schools and orphanages. iii) Provide material support to the poor and needy. iv) Create HIV/AIDS awareness amongst other health services such as immunization and hygiene talks. Lifewater Kenya has constructed water tanks and pit latrines, earthen cooking stoves, filters, wheel chairs along with providing cash or in-kind donations to communities and individuals on a needs basis. The success of such activities has been made possible by a number of international and local donors who have supported the organization for many years. The Vision of Lifewater Kenya is to empower communities to meet their water and health needs, as well as to improve lives of the less privileged people in the community.